We know how stressful and time consuming relocations can be and this is why we are always ready to lend a hand to the people that are moving from one place to another. We are a professional moving company that provides reliable man and van in The Wrythe, SM1. Or business is the most reliable, sought and praised removal company available in the area. We have worked hard to earn our reputation as the best local moving team. So rest assured that by hiring us you are benefiting from the best The Wrythe man and van services. You are welcome to explore our company website in full if you wish to learn more about us and our services. To see our full service list we invite you to go to the services sub-page of our website. Also don’t be timid to contact us if you have currently bought new furnishings that you cannot transport to your home. We are known to provide the most affordable furniture delivery services in the area (price sample: the hourly fee /2 hours minimum/ for a three men team is £65). The size and shape of your furniture is of no concern to us because the delivery will be carried out by professional movers that have years and years and years of experienced under their belt. Our company operates in the area of The Wrythe. 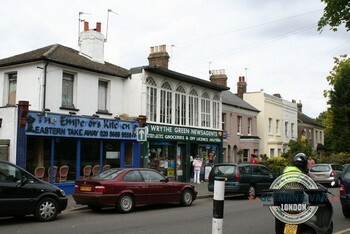 The area is part of the London Borough of Sutton and is more commonly known as Wrythe Green. Most a residential area, The Wrythe has its own commercial area where numerous shops and restaurants are located. The main landmark of the area is Carshalton College.